When an elected official votes his or her conscience, especially when it’s not easy, I respect it. I was raised in a tradition which valued political courage, honor and integrity over political success. I hope to pass on those values. I accept personal responsibility for proposing and strongly advocating the marriage equality legislation, and I remember personally asking for your support. You stood up for your principles, for equality and for a population long victimized. It is now evident that you paid a political price for your convictions. You should not be left to stand alone now. 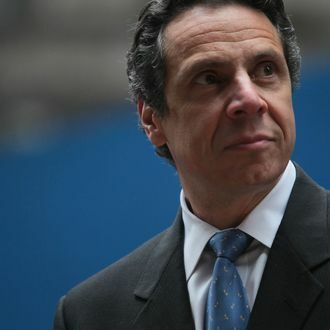 The Times Union suggests Cuomo might be able to steer money and voters to McDonald should he decide to run against Marchione and the Democratic candidate, Claverack Town Supervisor Robin Andrews. Presently there is only one Independence Party member in the State Assembly, Fred Thiele, and none in the Senate.